An essential part of our Perma Assured Performance program. 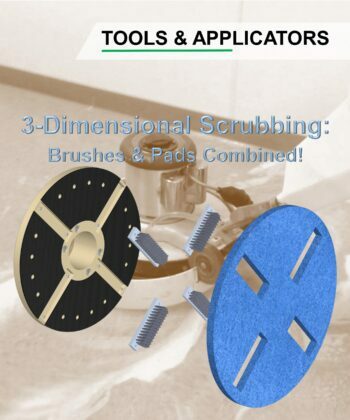 These brush-pad systems will add the perfect amount of “Mechanical Action” to the “Chemical Action” found in every Perma product. Increase cleaning efficiency, and chemical performance with this specialized tool from Fas-Trak Industries, and now available from Perma. 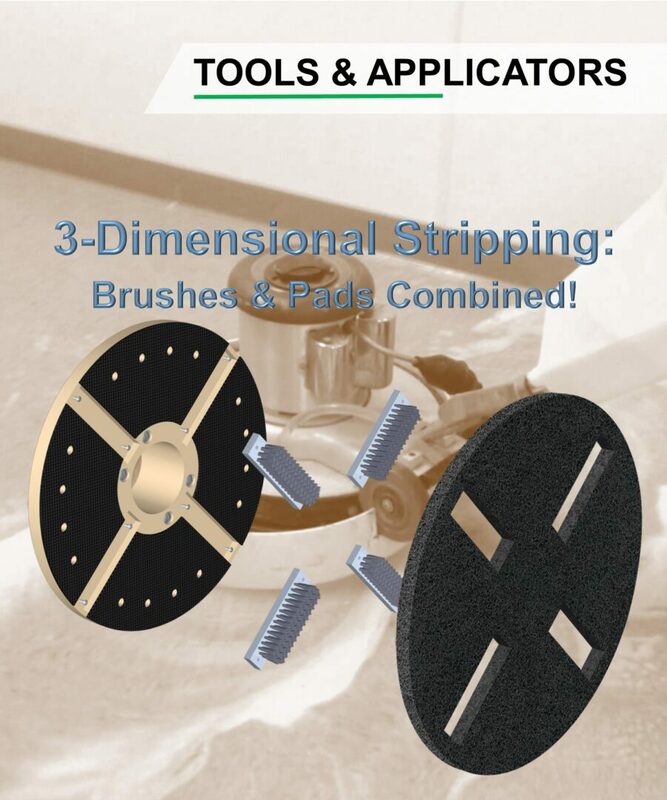 Designed for use with any 20″ low-speed buffer, this driver uses a system of (4) proprietary brushes to dig soil and finish from recesses, while the black strip pad breaks old finish free from any hard surface floor, like VCT, sheet vinyl, concrete, terrazzo or grouted tile floors. Each kit comes with (5) black stripping pads, driver, clutch plate and brushes. 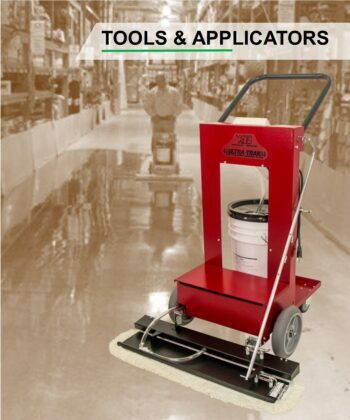 Stripping grouted ceramic tile floors with Perma #118 Eliminator. 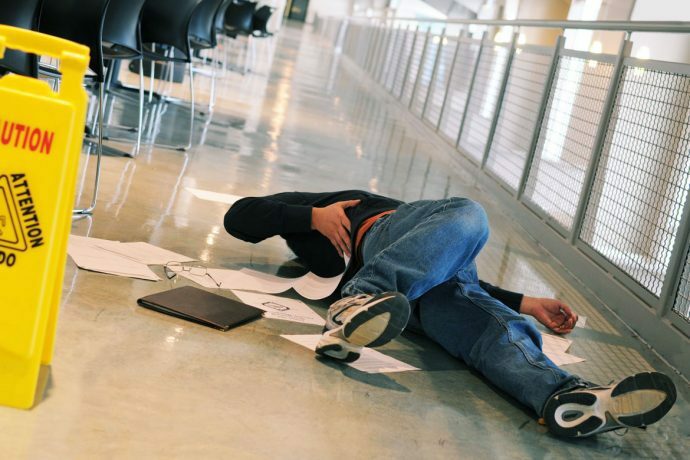 Welcome to Perma: Safer Solutions for Surfaces. 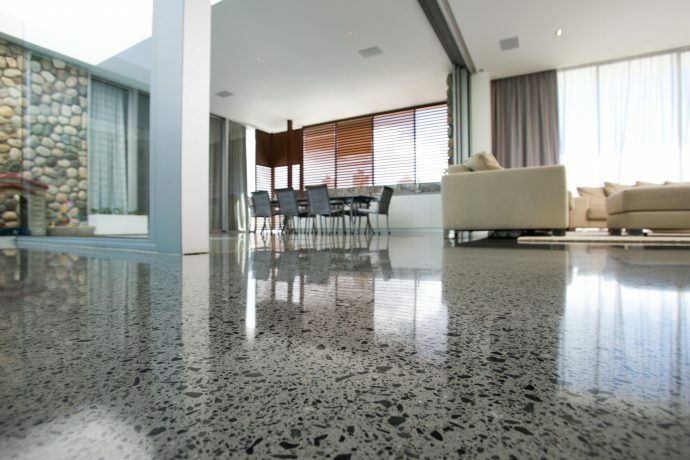 With 70 years in the industry, we can offer a level of expertise and honesty above the rest. Our friendly team are here to help future-proof your assets and keep your people safe.